April 22nd I arrived in Kameoka, a city of 90,000 located in a valley in the hills to the northwest of Kyoto. I am here for a month working at the Mizunoki Art Museum. 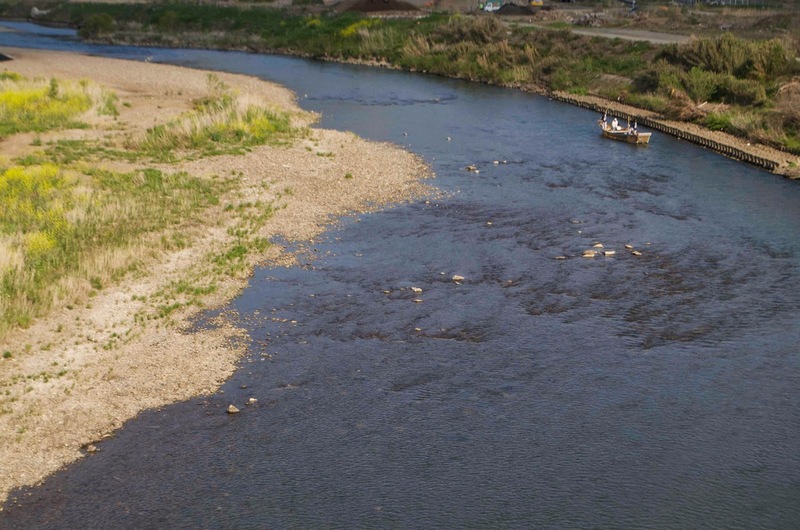 I will be building an ayubune, a type of small river fishing boat once common in this valley and the Hozugawa, the river that runs through here and to Kyoto. I came here three years ago to speak at a conference on rural culture and met the director of the museum. We have been working together since then to put this project together. 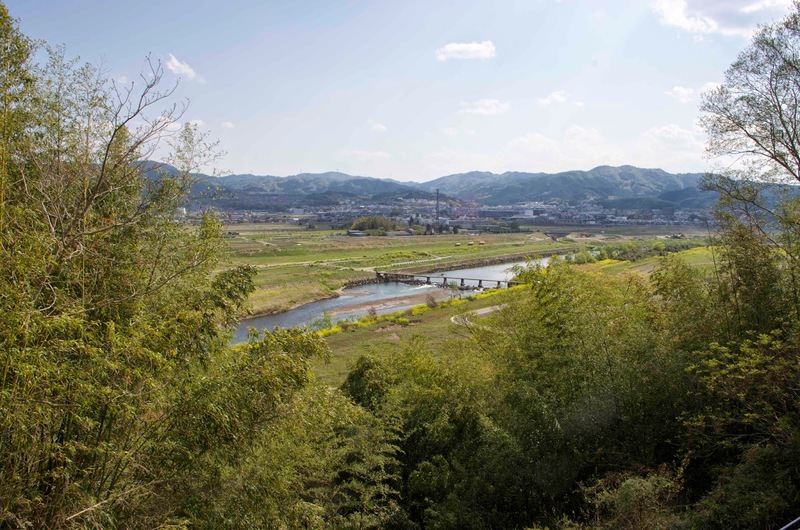 View of downtown Kameoka in the background, and the Hozu River. Mizunoki Museum, housed in a converted commercial building. In an earlier blog entry I wrote about the Hozugawa Kudari, a white water excursion company that operates from Kameoka, taking tourists on a 10 kilometer ride through white water gorges to the outskirts of Kyoto. Tourists have been taking this trip for over 100 years and I can say it is well worth it. The kudari uses fiberglass boats today, built on a traditional model. They have helped me in researching the design I am building. Ayubune are named for ayu, a fresh water fish enormously popular throughout Japan. 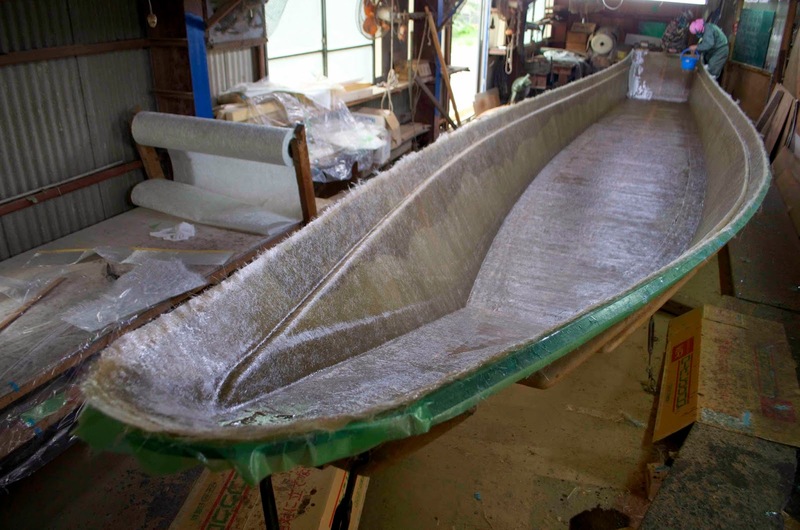 The overall measurements for my boat come from a fiberglass mould that was taken of a traditional ayubune. I found one derelict ayubune near the river and recorded construction details. Our boat will be about eighteen feet long. 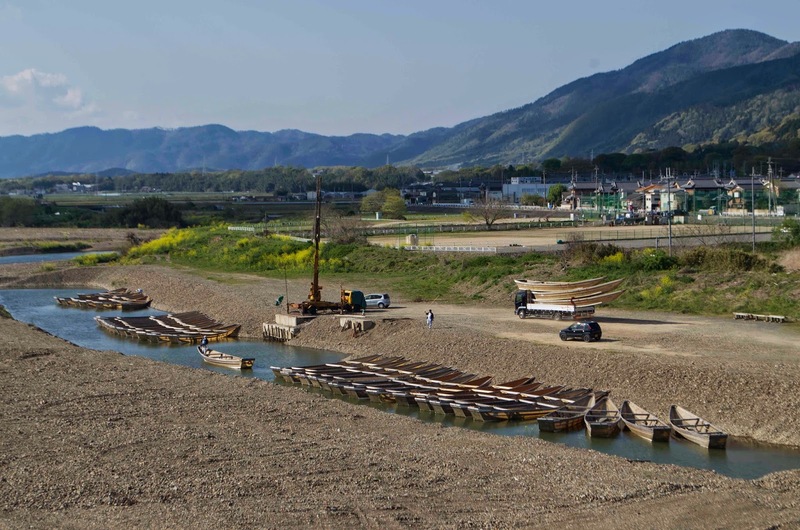 Tour boats of the Hozugawa Kudari. My second day here I was talking with a man near the river and when I mentioned ayubune he told me to get in his truck. Off we went up the hillside and into a fantastic old neighborhood. 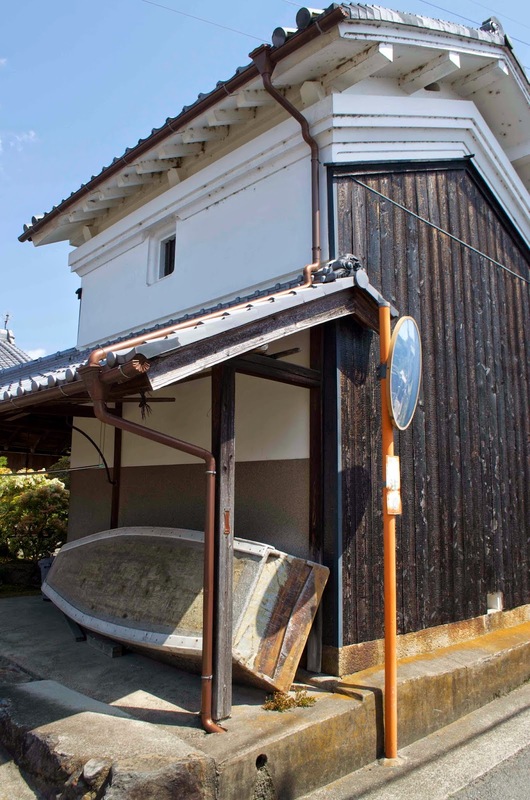 He took me to a friend’s house where there resting, against a traditional fireproof storehouse, was an authentic ayubune. It is fifteen feet long and the outside of the hull has been covered in fiberglass, but it’s a source for more construction details. The man said he thought it was 35 years old. Old ayubune in front of a kura, or fireproof storehouse. New fiberglass tour boat being laid up. Part of the fleet, with the single wooden version on the right. 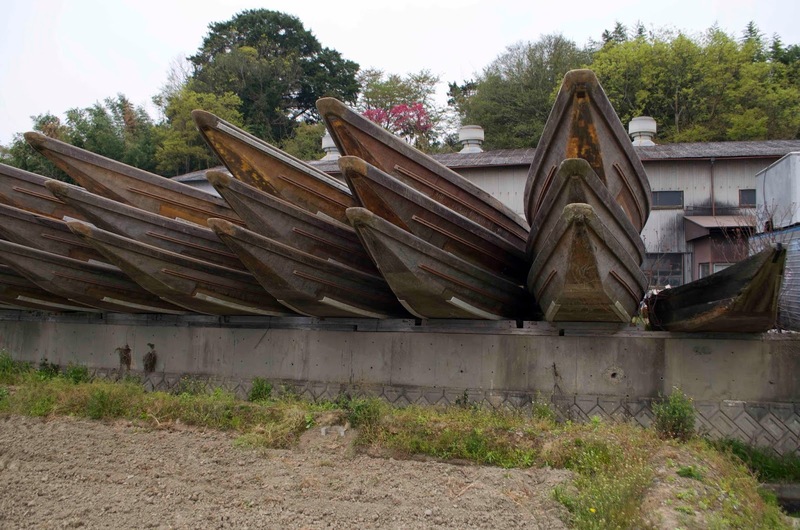 There was a boatbuilder in Kameoka and just before he died he built the kudari one last wooden tour boat. The company used it for promotional purposes but does nothing with it now. 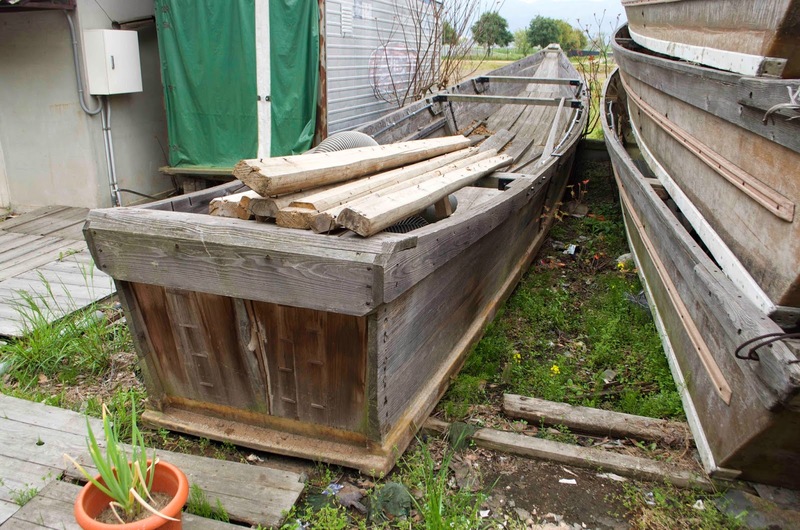 These boats take a tremendous beating and maintaining a wooden fleet was too cost prohibitive. Even the fiberglass boats are retired regularly and most require some patching every season. I will be building the ayubune until May 22nd. 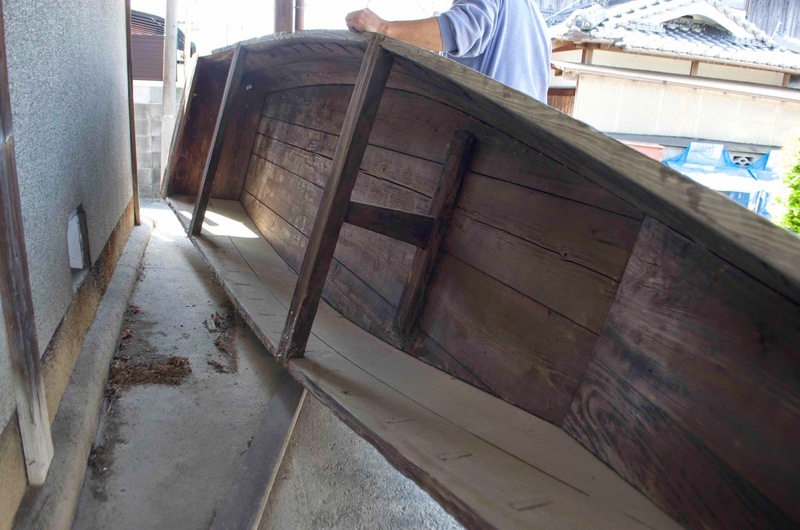 I am excited to document the process because I think this would be a great design for a beginner to boatbuilding, or someone interested in trying to build a Japanese boat. 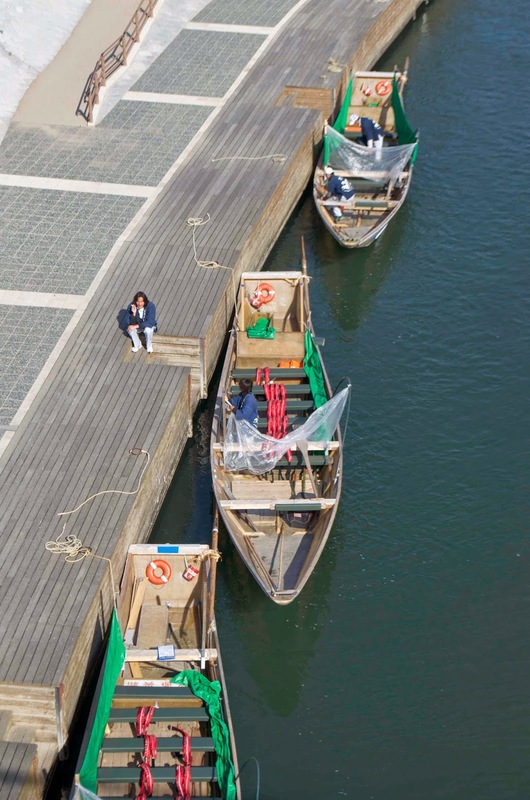 These boats, with their wide, plank stems, have a very distinctive look. The Museum is flying me back July 1st for the opening of an exhibit on the challenges of preserving the craft of boatbuilding. I am working with the director on the final design of this exhibit. 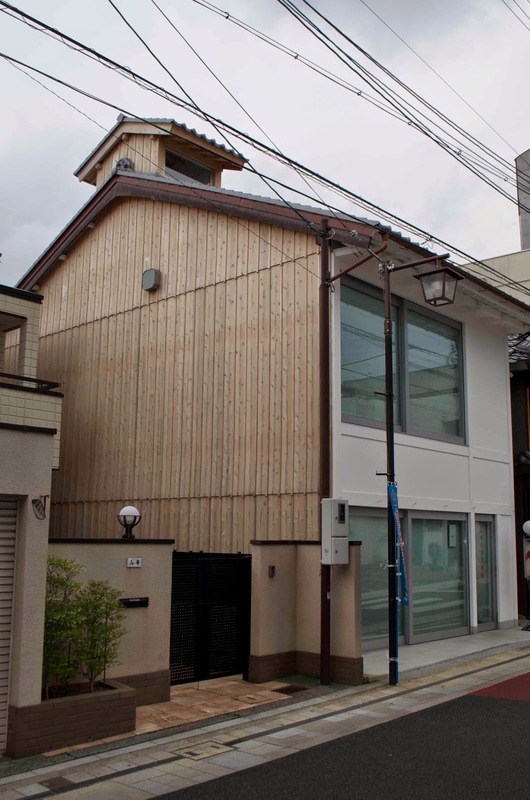 The Museum is an offshoot of the Mizunoki Center, a residential facility for the mentally handicapped. They have been teaching art to their clients for almost fifty years, and have developed world renown for this work, which has been exhibited throughout Japan and in Europe. My project is part of a new initiative providing therapy for hikikomori, or persons who have intentionally turned from society (Wikipedia has a fascinating entry). I’ll be building this boat with several people in treatment for the disorder, working one-on-one with them. Glad you finally made it to Kameoka. I can't wait to follow the building of this boat.